Back to the Future - MathsPOWER - Common questions answered . . .
Common questions answered . . . Remember, our advisors can deal with any enquiry that you may wish to make. Why do the MathsPOWER tutoring programs cost so much less when they are obviously of a vastly superior quality and standard to any other tutoring program? My child is excelling in maths. Are the maths tutoring program able to support and extend my child’s learning? I have more than one child. Is there a charge for registering more than one child per tutoring program? I live in Western Australia. Will my child still be able to phone the maths tutors? At which rate will I be charged when calling the MathsPOWER phone tutors? Do I need to have access to the Internet to use the tutoring program? What are the minimum operating requirements of the computer in order to run the MathsPOWER tutoring program? 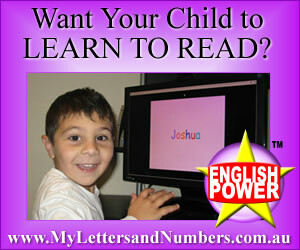 Do you have a MathsPOWER tutoring program that covers the Australian primary curriculum? We don’t send salespeople to your house-so we don’t have to pay those sales commissions. We don’t spend much on advertising �Ea little here and there �Ebut over 80% of our business is from referrals and repeat orders by our happy customers. Our tutoring programs are created in Australia by Aussie maths teachers who are passionate about education. We don’t import programs from overseas. Back to the Future Education is operated by husband and wife, Anthony and Felicity Tannous, parents of three children. We just really believe that access to this fantastic quality tutoring program should be available to ALL families, so we price it accordingly. High achieving students can maximise their potential by reviewing their current school lessons with the MathsPOWER tutoring program. Students are able to select the tutorial they were taught that day at school from the ‘lesson menu�E They then proceed through the stages of the MathsPOWER lesson. The high achieving student is therefore able to consolidate the day’s learning in maths at home and crucially, to overcome any misunderstandings that may have arisen at school that day. Furthermore, students also have the opportunity to preview any up-coming school lessons. This gives the student increased confidence in the classroom. No. In fact you only pay the one-off $50 enrolment for the whole family. If a younger child uses the same tutoring program that an older child uses much later down the track, a nominal fee of $50 may be incurred for use of the services such as phone tutors and support. Please contact one of our advisors to discuss this further. Yes. The phone tutors are available between 4 pm and 7 pm for all our students regardless of the state they reside in. All calls to maths tutors are charged at a local rate. No. The maths lessons are on the disks that we send you. The external support simply requires an external telephone line. Monitor and graphics card with 1024 by 768 resolution and 24 bit colour. Windows 95, Windows 98, Windows NT4 (SP6), Windows ME, Windows 2000 or Windows XP. Pentium-grade computer (at least a Pentium 133MHz or equivalent). Monitor and graphics card with 800 by 600 resolution and 256 colours. Yes, MathsPOWER tutoring programs cover infants, primary and high school, from Pre-school through to Year 12. Programs are usually delivered within 7 days; it may however take up to 21 days in busy periods.